If you look at most of the buildings surrounding Victory Square there are some of the best examples of heritage architecture in the city. One of the exceptions sits at the corner of Hamilton and West Hastings with the brand new Simon Fraser University building while being contemporary it probably won't make any memorable impact architecturally. But luckily the tenants of the building are working on some more interesting things with the students in the Charles Chang Innovation Centre upstairs and below with the opening of Nemesis Coffee. 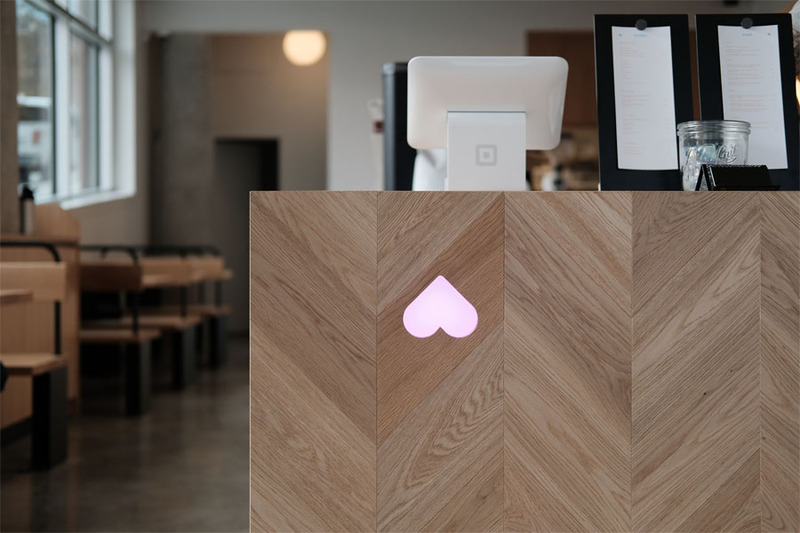 Stepping into the cafe you'll find an unusual layout for the coffee bar which sits in the middle of the room. Surrounded by amazing oak millwork the bar gets topped in a polished white granite with some black steel to accent the design. 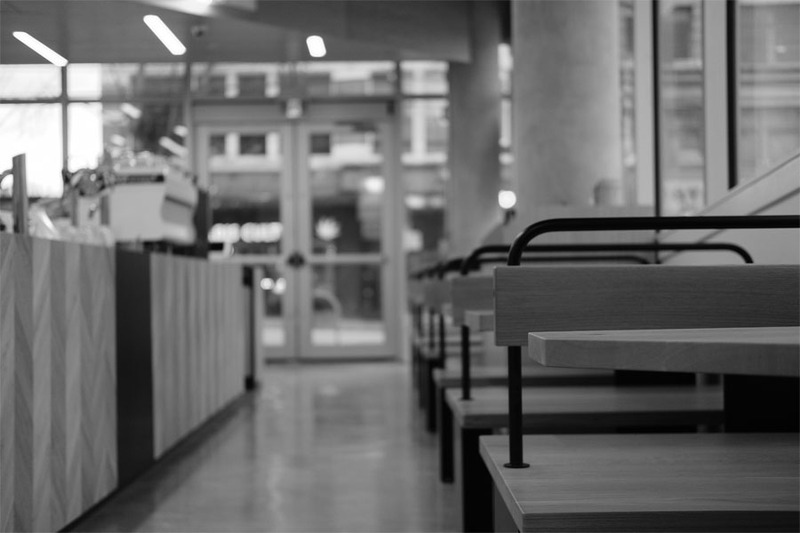 Down the bar sits their Synesso MVP Hydra providing both volumetric and manual controls for espresso. There's no batch filter at Nemesis with all their filter coffee made by the cup on V60s using paper filters. On tap they currently have a hopped cold brew coffee, O5 Tea kombucha and down the line beer. 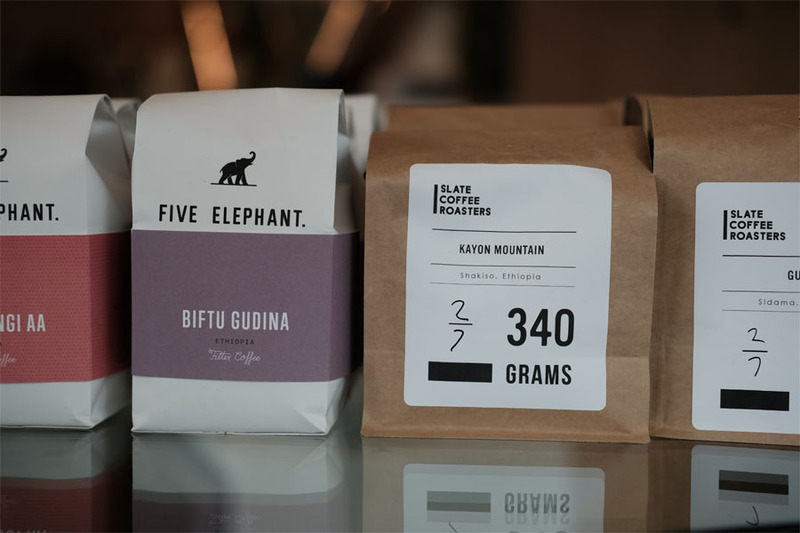 Five Elephants Coffee (Berlin), Pilot Coffee (Toronto) and Slate Coffee Roasters (Seattle) was their initial roster of coffee which will rotate down the road. The food program at Nemesis is backed by a full crew in the back kitchen lead by Jacob Deacon-Evans (Bishop's, West, Wildebeest). Savoury and sweet waffles feature highly on the seasonal menu while their take on avocado toast and more unique dishes like their lemon posset (which sounds French but is a British dessert) let the crew flex their culinary and creative muscles. 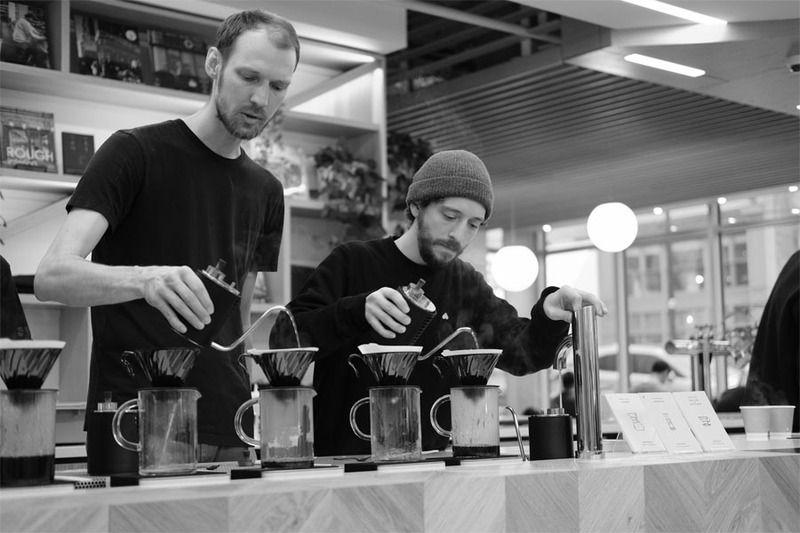 Coffee - Creating - Culture isn't a tagline for the cafe but a starting point for some things that the owners behind Nemesis want to achieve from the music, design, food that intersects with the world of coffee.